A couple of weeks ago, my friend Ann was in town for her first ever visit to Boston. On her last day here, we were strolling Faneuil Hall looking for Boston-themed souvenirs and didn't really find much besides some t-shirts. You know where we should have gone? 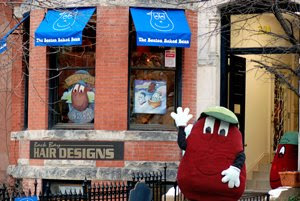 The Boston Baked Bean aka Beantown Toys on Newbury St.
By pure chance, I got to meet with a couple of the folks from Beantown Toys today: their CEO Tom and their webmaster/toy designer Marc. Great guys, with a shop full of great Boston-themed stuff. I've probably walked down Newbury St. hundreds of times, and this is the first time I've stopped in. It was fun in there. I highly recommend you check it out sometime especially if you've got kids and/or friends visiting from out of town. 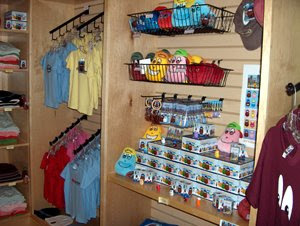 Click (here) to check out the Beantown Toys site. 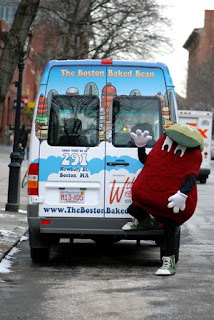 0 Response to "The Boston Baked Bean"